Selig Sealing Products, Inc. is one of largest manufacturers of tamper-evident cap/closure lining material in the world. Selig's mission is to provide their customers with extremely high levels of responsiveness and flexibility. Tri-Seal and Top-Seals are leading manufacturers of cap liners and seals (closure liners) for glass, metal and plastic containers. Their products ensure that the contents of customer’s packages are secure from contamination, leakage, or loss of product efficacy. You’ll find their closure liners on millions of items throughout the world, in industries such as food and beverage, pharmaceutical, cosmetic, household/ industrial, and agro-chemical. KW has built a reputation on a pioneering spirit for developing new markets and technologies to meet tomorrow’s recycling demands. KW is highly regarded for its extensive capacity, commitment to quality, consistent growth and exceptional customer service. 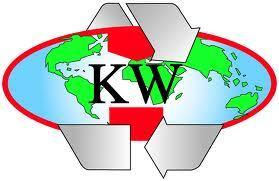 Today, KW purchases scrap material throughout North America and according to Plastic News, is consistently ranked as the number one recycling company among its peers. Phillips 66 has the newest and most modern polypropylene plant in the U.S. The location at the Bayway Refinery allows for a direct link from the integrated feedstocks to processing, packaging and shipping to customers around the globe. Our location on the East Coast enjoys a secure and mature infrastructure with easy access by truck or rail to our customer base. This strategic location allows our customers peace of mind for potential supply issues. Americas Styrenics is a leading integrated producer of styrene monomer and a variety of general purpose, high impact polystyrene resins. One of the most attractive facets of styrenic-based polymers is ease of processing. They can be processed using a wide variety of conventional equipment with a relatively broad range or "window" of process parameters, allowing compatibility with most existing equipment. NOVA Chemicals is a leading producer of plastics and chemicals that make everyday life safer, healthier and easier. Their employees develop and manufacture materials for customers worldwide who produce consumer, industrial and packaging products. NOVA Chemicals works with a commitment to Responsible Care® to ensure effective health, safety, security and environmental stewardship.